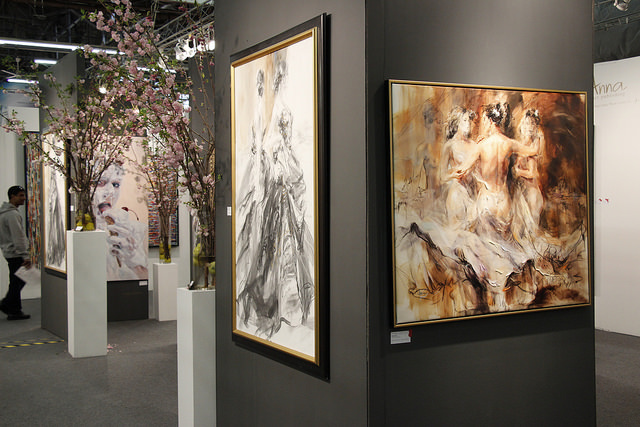 Artexpo New York 2015 was a smashing success, thanks to our 400+ fantastic exhibitors, nearly 28,000 attendees, and wonderful sponsors without whom this show wouldn’t be possible. We at Redwood Media Group send out a hearty thank you to everyone who participated! 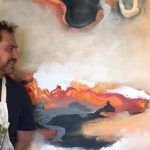 Here’s a look back at all the exciting events of Artexpo, as well as top sales, success stories, and plenty of photos and video. 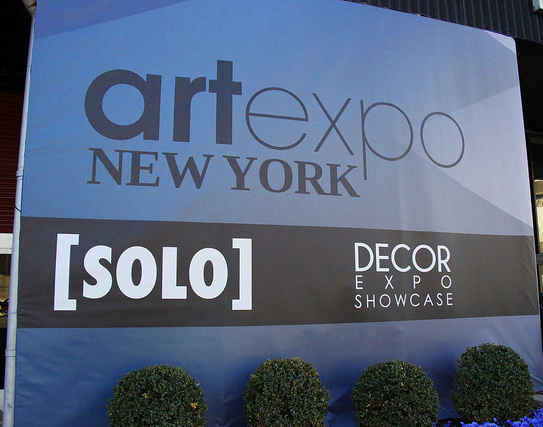 The entrance to Artexpo New York. 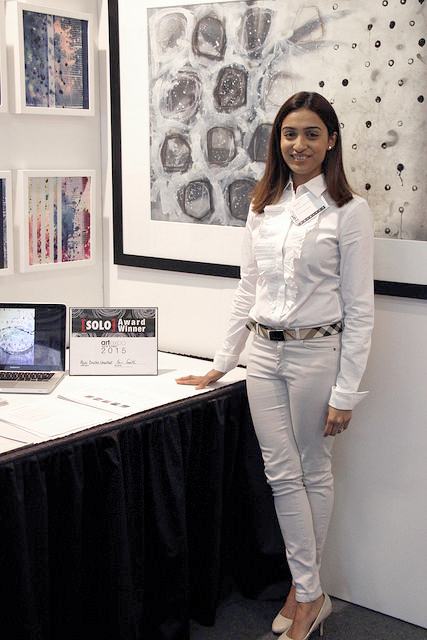 From the fabulous parties to the live art demonstrations, scintillating seminars, and more, Artexpo 2015 was jam-packed with artwork to see, experts to hear, and corners to explore. Photographer Jordan Matter was on hand to sign copies of his book Dancers Among Us and stage live photo shoots with young dancers in front of the masses. Two live [SYNERGY] Art Projects, featuring students from Morris Hills High School and Woodcliff Middle School, captured the attention of attendees and exhibiting artists alike. And the unveiling of Artexpo’s 2015 Poster Challenge Winner, Without Hesitation by Joëlle Blouin, was an exciting moment for everyone. 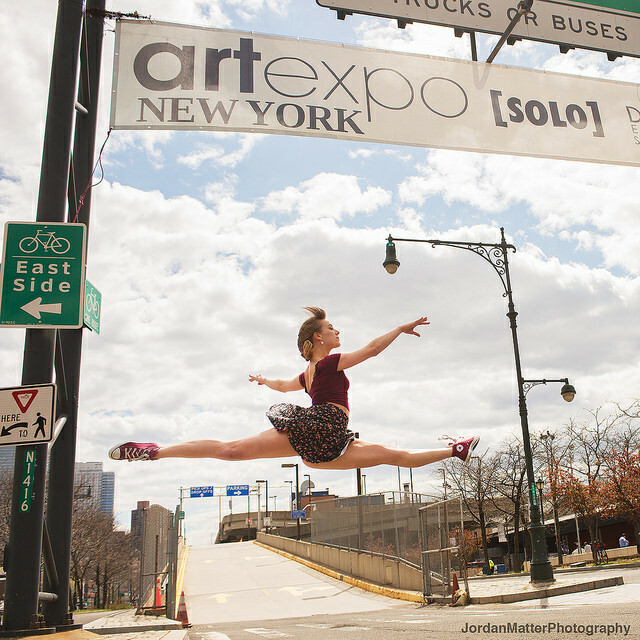 A dancer leaps for photographer Jordan Matter outside Artexpo New York. 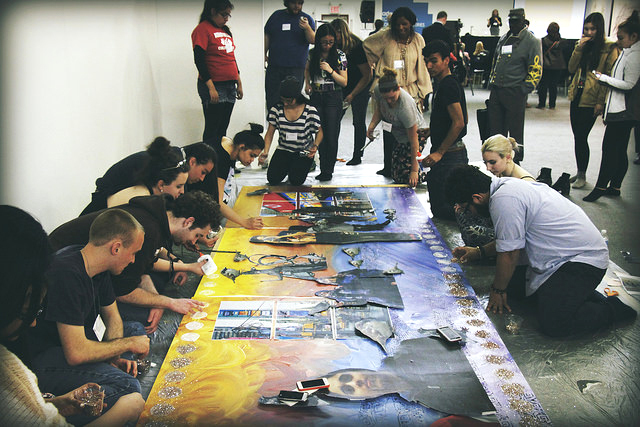 Morris Hills High School students work on their [SYNERGY] Art Project. Joëlle Blouin stands by her Poster Challenge winner, Without Hesitation. Nothing makes us happier than to see our exhibitors successfully make sales and connect with new buyers. Here’s a roundup of some of this year’s big sales, as well as testimonials from artists and gallery owners who shared with us their thoughts about the Artexpo experience. 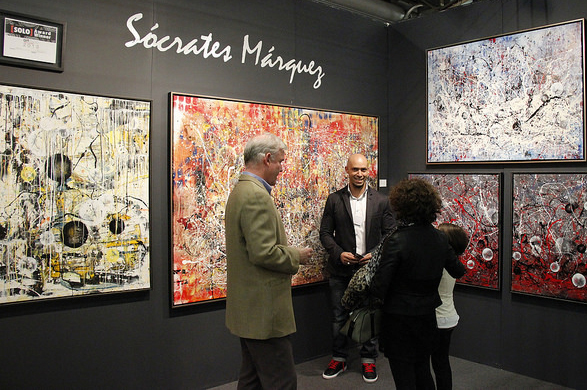 Socrates Marquez, a 2014 [SOLO] Award Winner, came back this year and sold 12 pieces for a total of $19,100. His highest seller was a 76×56 piece for $8,500. Not only did Socrates say that he had a great show overall, with satisfying sales and interaction with the crowd, but he also felt particularly drawn to the [SYNERGY] Art Projects, going so far as to write the students an encouraging note and set the intention to participate in the project with the kids at next year’s show. Socrates Marquez chatting with attendees at his booth. 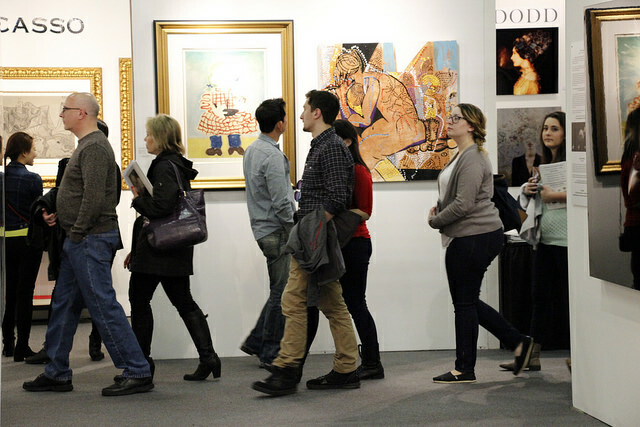 The Artexpo crowd strolling by the Masterworks Fine Art booth. Exhibitor Antonio Russo sold two pieces to a gallery in Miami for a total of $20,000. 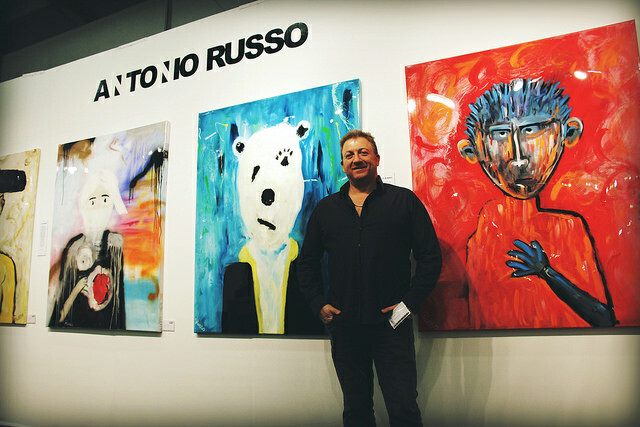 Exhibitor Antonio Russo by his artwork. Mattson’s Fine Art sold 15 pieces, by 7 of the gallery’s 11 artists represented at the show. The highest-selling piece was Garden Party, a painting by Dinah Cross James, for $11,500. Mattson’s also won an award for Best Multiple-Artist Exhibitor. Winning the 25th Anniversary Recognition Award for exhibiting at Artexpo for 25 years was Studio Fine Art, who sold 7 pieces. Their highest seller was Corner of Beauty, a painting by Hessam Abrishami that garnered $19,000. The Great Dane Collection sold 6 pieces for a whopping total of $146,000. 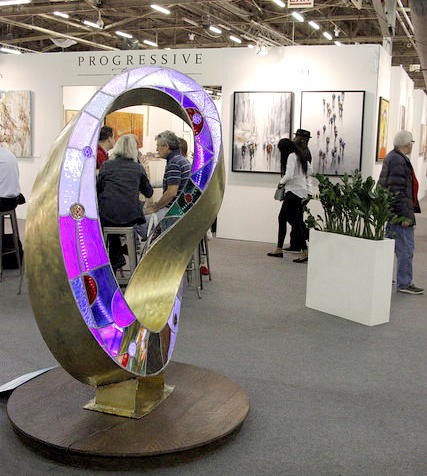 Several [SOLO] exhibitors came away from Artexpo with great success, including Richard Riverin, who sold 6 pieces for $45,000; Liliana Gorbachincky, who sold 5 mixed-media works for $96,000; and Daniel Marin, who sold 25 pieces for $30,000. [SOLO] Award Winner Rajvi Dedhia Unadkat. Make sure to check out even more inspiring exhibitor testimonials here! Also, check out video highlights from each day of the show, as well as a post-show video wrapup, on our video page. 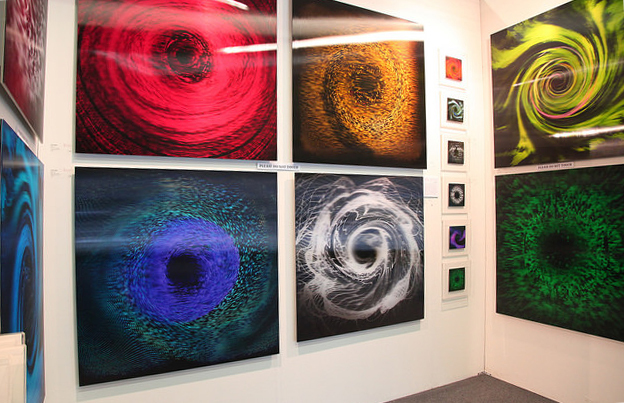 And for more great photos of Artexpo New York 2015, visit our Flickr page. 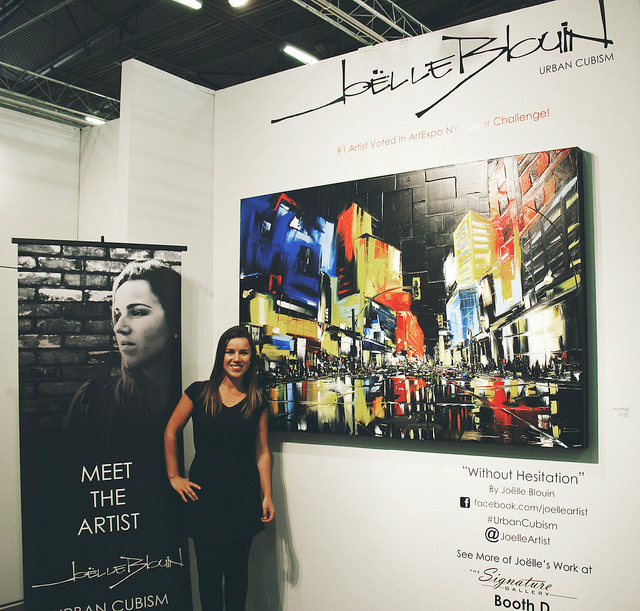 Media surrounding Artexpo New York was abuzz, with the show covered in online and print publications such as Artforbes, Woman Around Town, Art Business Today, Posture, Where New York, IN New York, NY Arts, City Pulse, and Art Business News. We reached tens of thousands of fans from around the globe with up-to-the-minute news and event pics on Twitter, Facebook, and Instagram. Thanks to all of our social media followers for your feedback and shares! Here’s a full media report on the show. Exhibitors gathered for a breakfast seminar on the all-important opening day. 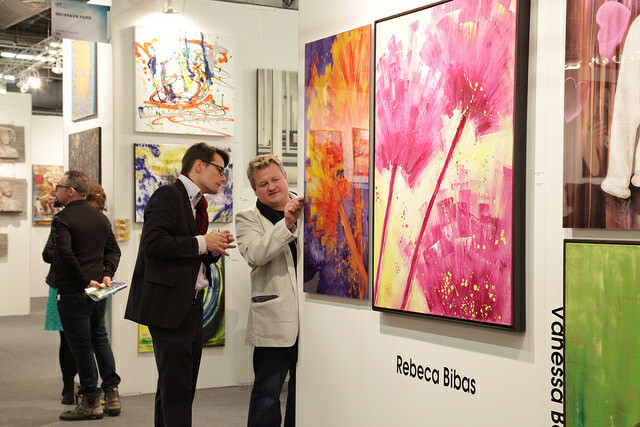 Following such a great weekend at Artexpo 2015, we can’t help but buzz with excitement for next year’s show! 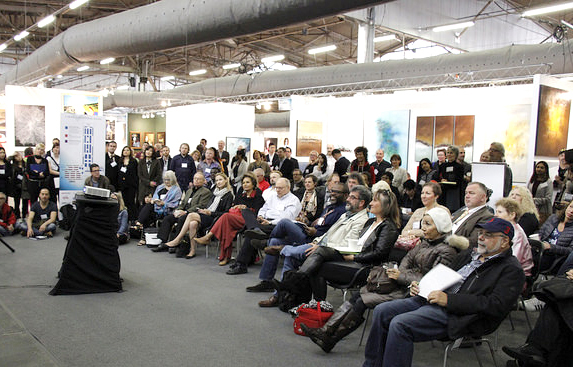 For information on attending or exhibiting at Artexpo New York 2016, check out our website. We’ll leave you with a few more lasting images from the show… thanks again to all who participated, and we’ll see you next year! 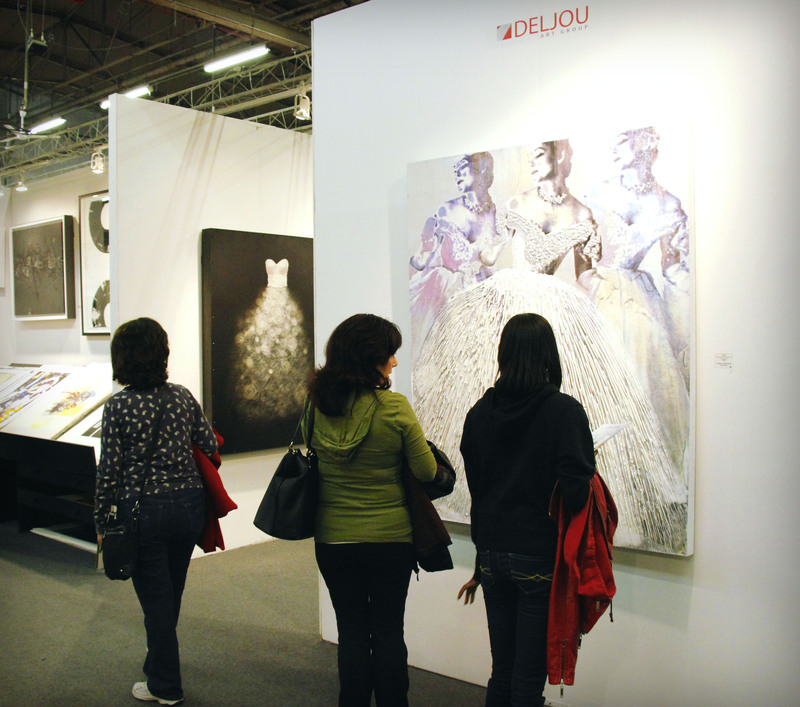 Attendees admire fine art from Deljou Art Group. 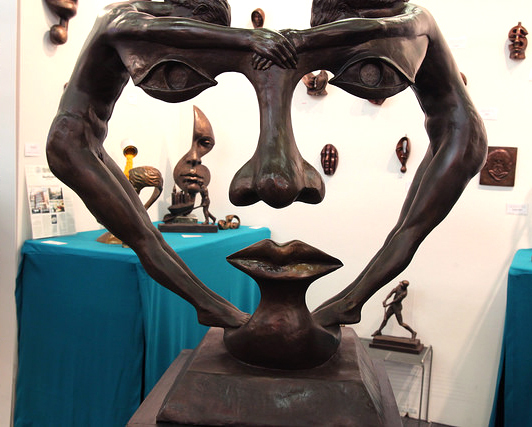 Sculpture by [SOLO] exhibitor Michael Alfano of Alfano Sculpture. Artwork by Jeon Nak in Able Fine Art NY Gallery’s [SOLO] booth. Artwork in the Anna Art Publishing booth. The Smart Publishing booth at Artexpo. A Plamen Yordanov sculpture display in Lounge 94.